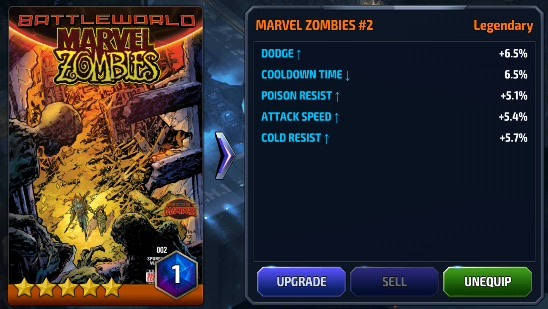 For me I feel that Skill Cooldown is the most important of the skills to max, with the current max of 50% you need to try and get close to it but don't waste other gear slots on it. 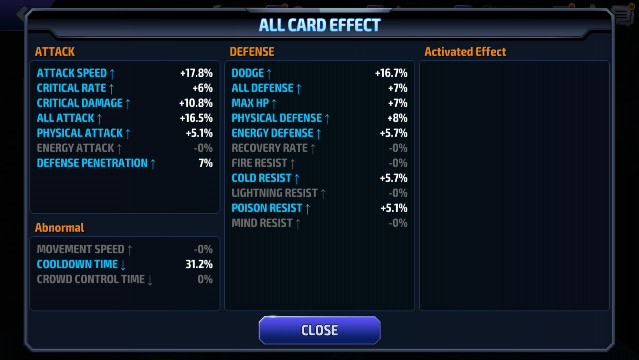 My best card stats-wise, I don't think I could have gotten a better combination of options. 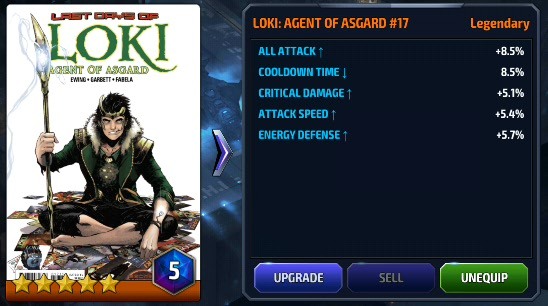 Of course Loki is key in any card list, with 2 important primary stats. Lucky here not any major wasted options. 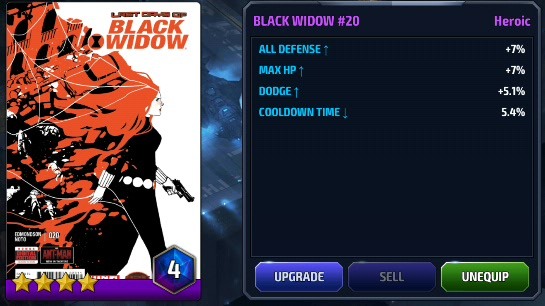 Black Widow because of her decent primary stats, and it's current secondary stats of Skill Cooldown. 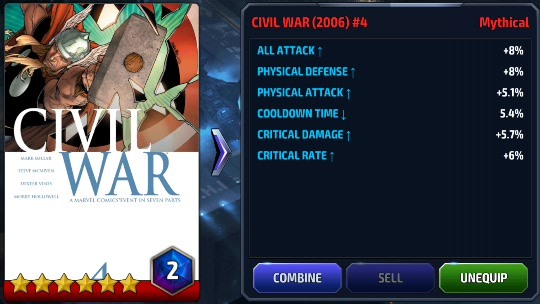 Still working on a higher card with Skill Cooldown to replace with. 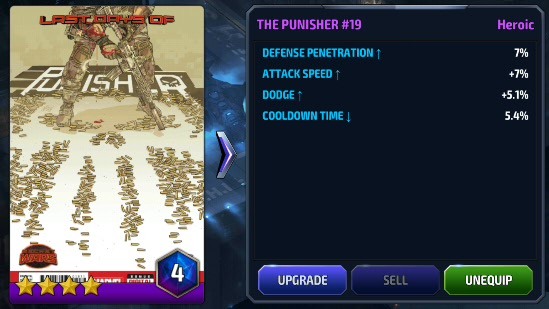 Punisher is only here for the Skill Cooldown, Defense Penetration is okay. But I would rather have some better skill boosts, working on a better version or alternate option. 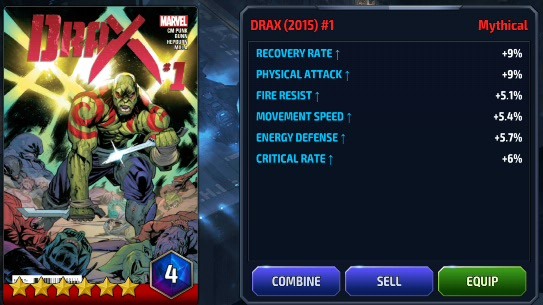 This was my latest result of Drax, and lost out on some better attack boosts unfortunately. Now to use or use in a combination to fix other Mythical? Re: My current card sets. Page created in 3.114 seconds with 23 queries.